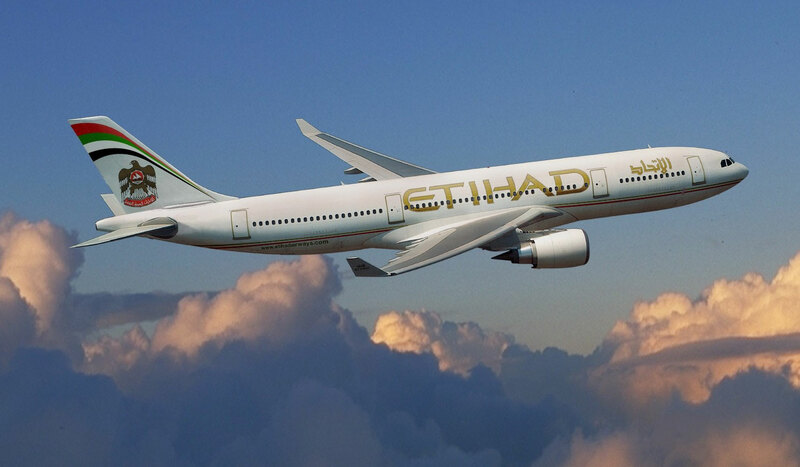 Etihad Airways has launched the first ever scheduled flights linking Abu Dhabi and Baku. The inaugural flight, EY297, departed Abu Dhabi yesterday carrying a special delegation including diplomats, dignitaries, media representatives, and senior members of Etihad Airways’ management team. On arrival in Baku, the aircraft was greeted with a traditional water cannon salute, followed by the customary display of the Emirati and Azerbaijani national flags from the cockpit windows. Peter Baumgartner, Etihad Airways Chief Executive Officer, said: “We are tremendously excited to be launching scheduled flights between Abu Dhabi and Baku, the only scheduled service linking the two capitals. There is strong demand from both markets for a direct, full-service operation on the route, and we have responded to this increasing customer requirement. The new flights will further boost traffic from the UAE and strengthen the bilateral relations between the two nations. Etihad Airways and Azerbaijan Airlines recently announced a codeshare partnership which now sees Azerbaijan Airlines place its 'J2' code on Etihad Airways services between Baku and Abu Dhabi. Under this partnership, Azerbaijan Airlines guests will be able to book codeshare flights to and from Abu Dhabi and connect onto Etihad Airways’ extensive global network. Jahangir Asgarov, President of Azerbaijan Airlines CJSC, said: "Azerbaijan Airlines and Etihad Airways are long-standing partners in civil aviation. The launch of joint flights between our two airlines will allow Azerbaijani citizens to further expand their global reach, attracting increased numbers of tourists and creating more opportunities for business travellers." Etihad Airways has appointed Saeed Mohammad Ahmed as its Country Manager Azerbaijan. A UAE national, he is an experienced aviation professional whose previous role with the airline was Business Development Manager for the US based in Chicago. In his new position he will be responsible for the strategic and commercial success of the new route, and for developing business relationships with key Azerbaijani corporations and the travel industry. Flying three times a week using a 136-seat Airbus A320, configured with 16 seats in Business Class and 120 in Economy Class, the new flights will operate every Wednesday, Friday and Saturday, providing optimal daylight timings for guests departing and arriving in Abu Dhabi and Baku. The schedule provides convenient connections to and from the airline’s global network and has been timed evenly throughout the week to provide a mix of weekend, short stay and business travel options.